List Rules Vote up the instances of good luck that absolutely no one could have counted on. While some anime heroes win battles thanks to their adept skills and strategy, others win thanks to sheer, dumb luck. Anime characters who got lucky pop up in all genres, and some are a lot luckier than others. Whether the hero is participating in a low-risk card game, or fighting for their life against a deranged killer, sometimes they just don't have what it takes to get the job done without a little good fortune. When done right, these lucky breaks can provide an unexpected, organic new direction for the plot. When done wrong, it can feel like the show's writers are letting the characters off too easy. While it's hard to see a fan-favorite character get taken down by their adversary, the hero still needs to struggle a little bit to ramp up the tension. For better or worse, luck can certainly help decide an outcome when nothing else can. Kimimaro was the original vessel for Orochimaru in Naruto, and he's so absurdly powerful that neither Gaara nor Rock Lee seem to have a chance against him. He is able to manipulate his own skeleton at will, pulling out his spine to use as a weapon, turning his bones into powerful drills, and so on. After using a technique that causes thousands of bones to burst from the earth, Kimimaro seems poised to kill Gaara and Lee, but then he suddenly drops dead. As it turns out, Kimimaro was suffering from an unnamed terminal illness that resembles tuberculosis. He was doomed to suffer a premature death from the start, and Gaara and Lee are super lucky that it happened at that exact moment. 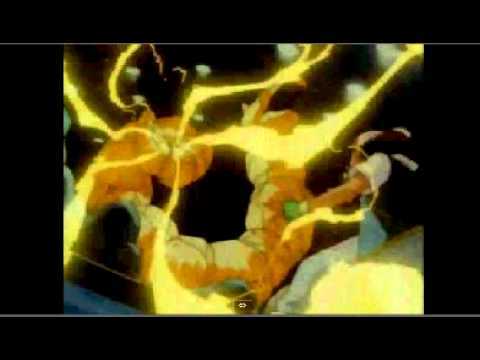 In the world of Pokémon, electric type Pokémon are weak against ground types (since rocks don't conduct electricity). When Ash pits his Pikachu against Brock's Onix, he's in for a rough time. Without a heavy dose of good fortune, Pikachu would have definitely lost. At the 11th hour, the gym's sprinkler system turns on, soaking Onix and allowing Pikachu's electricity to actually do enough damage to win the battle. Pretty much everything that happens on Yu-Gi-Oh! occurs because of dumb luck. Sure, there's strategy involved, but half the time that strategy is so convoluted that even the most attentive viewers can't follow it. More frequently, strategy is far less important than drawing the right card at the right time. This has happened so many times that it's impossible to account for all of them, but one of the most extreme examples comes in Yugi's duel with Noah. As the end of the match draws near, Yugi has no more cards in his deck, and it looks like he's about to lose the duel. By sheer luck, he manages to draw a card that lets him draw six more cards, and those six cards just happen to be exactly the combination of cards that he needs to defeat Noah. While Duel Monsters is partially a game of chance, that's still a little much. #18 on What TV Character Would You Want To Be Your Sidekick If You Were A Superhero? If you don't think a fart can decide the outcome of a fight, then you don't know the true power of Naruto's titular hero. During the chūnin exam battle with Kiba, Naruto blasts *ss all over Kiba's face. While this would distract anybody, Kiba has an enhanced sense of smell, which makes him especially susceptible. The stench is so overpowering that he can't continue the match, and Naruto wins. Most people can't fart on command, and Naruto doesn't have any special digestion themed jutsu, so the timing really worked in his favor.